Since 2001, InMotion has grown into one of the more popular web hosting options for website owners across the world. They have created a strong reputation due to their top notch support team, the reliability of their servers, and the number of free features that are included with all of the plans that they offer. Among the most popular set of plans that they offer is their VPS hosting plans. The three Virtual Private Server options that they offer are the VPS-1000HA-S, VPS-2000HA-S, and VPS-3000HA-S. The biggest difference between the three plans is the technical features associated with each, although all three have advanced technical and mechanical features that users will surely enjoy. What is the Pricing Structure for the VPS Hosting Plans? The prices for InMotion’s VPS Hosting Plans are fairly standard when compared to the rest of the industry. While you can undoubtedly find cheaper monthly options, the many free features that are included with each plan more than make up for the prices that they charge. The VPS-1000S plan is priced at $29.99 for the first month and $44.99/month on a recurring basis after that. The VPS-2000S option is $49.99 for the first month and $84.99/month for every month after that. The more advanced VPS-3000S package is $74.99 for the initial month and $154.99/month after that. Is a Money Back Guarantee Included? Yes. InMotion offers a 90-day money back guarantee for all users that signup for their VPS hosting plans. This is one of the longest money back guarantees in the industry, which speaks to InMotion’s confidence in their hosting services. The VPS-1000HA-S Plan comes with 4GB of RAM, 60GB of RAID 6 fault tolerant disk space, and a monthly premium transfer amount of 2TB. For VPS-2000HA-S users, you receive 6GB of RAM, 130GB of RAID 6 fault tolerant disk space, and a monthly premium transfer amount of 3TB. VPS-3000HA-S users have the advantage of working with 8GB of RAM, 200GB of RAID 6 fault tolerant disk space, and a monthly transfer amount of 4TB. Yes. InMotion is actually currently offering up to 30 free cPanel account transfers to users that sign up for one of their VPS plans. While they are advertising this as a limited time offer, they do provide a small number of free transfers to users at all times. It should be reiterated, however, that these free account transfers are only for cPanel accounts and not for manual transfers. How Many Domains and Websites are Allowed? Unlimited. All of the VPS hosting plans allow you to create and maintain an unlimited amount of websites under one account. Obviously, however, there will be limitations when it comes to the actual data available for maintaining each site. Yes. Each VPS hosting plan that InMotion offers comes with free SSDs. There are several advantages to SSDs over a traditional hard disk drive (HDD), with the most significant being that SSDs are up to 20x faster when it comes to delivering data and handling disk requests. They are also able to push through much more data from the server than an HDD can. Is a Free Domain Included With All Three VPS Hosting Plans? Yes. All three of the plans include a free domain so long as you make a commitment of at least 6 months. It should be noted, however, that if you decide to take advantage of their 90-day money back guarantee, the domain registration fee is not refundable as it will be yours to keep and use with another web host. Yes. Reliability is an area where InMotion is undoubtedly at the top of the industry. One of the main reasons for this is the free backups that they offer to all VPS hosting plan users. These backups are for up to 10GB at a time. As you probably already know, most other web hosts charge an additional monthly fee for even automated backups. How Many Dedicated IP Addresses are Included With Each Plan? The VPS-1000S and VPS-2000S plans come with two dedicated IP addresses while the VPS-3000S plan comes with three. These are obviously important if you plan on running an ecommerce business through your website as they are necessary in order to purchase and utilize SSL certificates. Are These Plans Optimized for eCommerce? Yes. All three of the VPS Hosting plans have plenty of tools and resources to ensure optimization for users that plan on running and growing an ecommerce business through their domains. They have over 30 ecommerce applications that can be installed with a single click, although you will have to subscribe to Softacalous ($5 for a one-month subscription), in order to do so. The enhanced speed and uptime reliability created by the use of solid-state drives is also another major reason InMotion’s VPS hosting plans are a great fit for website owners looking to grow their business online. They also make it extremely easy to scale your website as your business grows. What Type of Customer Support is Available With VPS Hosting Plans? InMotion provides 24/7 support to all VPS hosting plan users through both telephone and email. They have a team of dedicated experts that manage only virtual private server accounts and are able to handle everything from system level performance monitoring to network security support. One of the cooler things about InMotion is that they also are very upfront about what aspects are your responsibility. While they will provide support if absolutely necessary, they let you know that advanced server and database administration, custom application support, and user script errors are your responsibilities. This honesty is quite refreshing in an industry that is not exactly known for that. Is cPanel and WHM Free With Each Plan? Yes. cPanel and WHM are included with all three of the VPS Hosting Plans. The use of both of these pieces of software is extremely common throughout the web host industry, although not all websites include both for free with their plans. 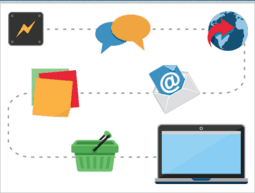 With cPanel, you have the ability to seamlessly navigate and manage the domains registered to your server. What Type of Web Server is Used? InMotion uses CentOS 6: Enterprise Class Linux servers for all of their VPS plans. They have been using these servers as their primary operating system for over a decade, meaning their technical teams have a great deal of experience handling issues that arise with them. While some users prefer Windows servers, the Linux servers tend to be much more secure than their counterpart and also allow users to do a lot more customization. Windows servers tend to lack in the amount of customizable options that they offer. At the end of the day, all three of InMotion’s VPS Hosting plans are great options for anything from running an ecommerce business to project management. 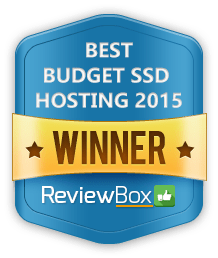 The amount of high quality technical features, combined with the use of SSDs, makes these plans among the most trusted in the industry. 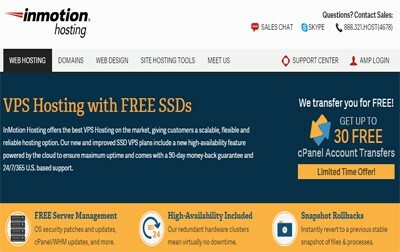 You can get much more information about what the best VPS Plan is for satisfying your unique needs by getting in touch with InMotion’s sales team. As has been mentioned, their support staff is available 24/7 to answer any questions that you may have about which plan is best for you. Free SSDs which is 20x faster than HDDs. 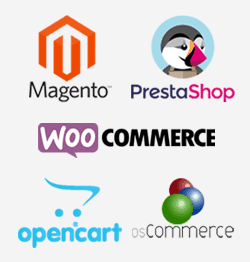 Provides users with plenty of eCommerce tools and apps that can be used easily. Offers its users a 90-day money back guarantee. Windows server is not available.